Gyumri is the second large city in Armenia. It lies in the northwestern part of Armenia in the central Shirak Highland. It sits 1550 feet above sea level. Gyumri is one of the oldest cities of Armenia. It had different names during the history: Kumayri, Gyumri, Alexandrapol, Leninakan and again Gyumri. In 1837, when Russian emperor Nikolai 1st visited the city, it was renamed Alexandrapol in honor of his wife Alexandra. During Soviet times, the city was renamed Leninakan in honor of Vladimir Lenin. 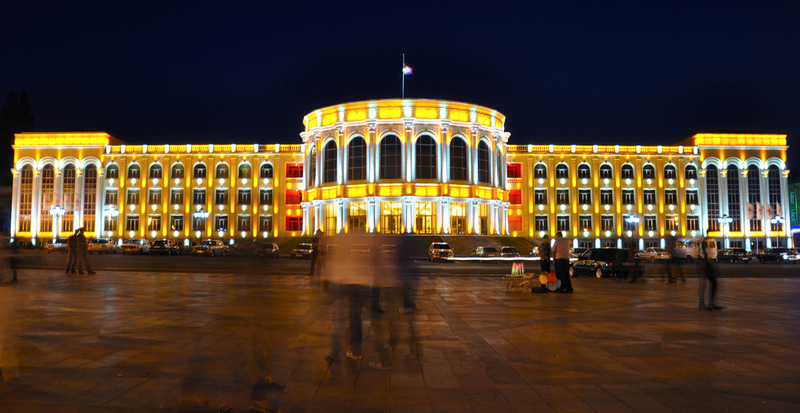 After the declaration of the independence of the Republic of Armenia Gyumri got its modern name. The city has always been a major cultural center. The first Armenian opera performance was staged in Gyumri in 1912, and in 1923 the first theatre hosted the first spectators. Many great Armenian artists originated from this city. Gyumri is known as capital of humor. Despite all the disasters that they had to go through, people in Gyumri always smile. Architectural style of Gyumri is unique. Unfortunately, many of historical buildings were damaged during the earthquake in 1988. Most part of 18-19th century buildings are located in historical district called Kumayri, and thanks God they survived earthquake. You’ll like long walks among old buildings of this beautiful city. 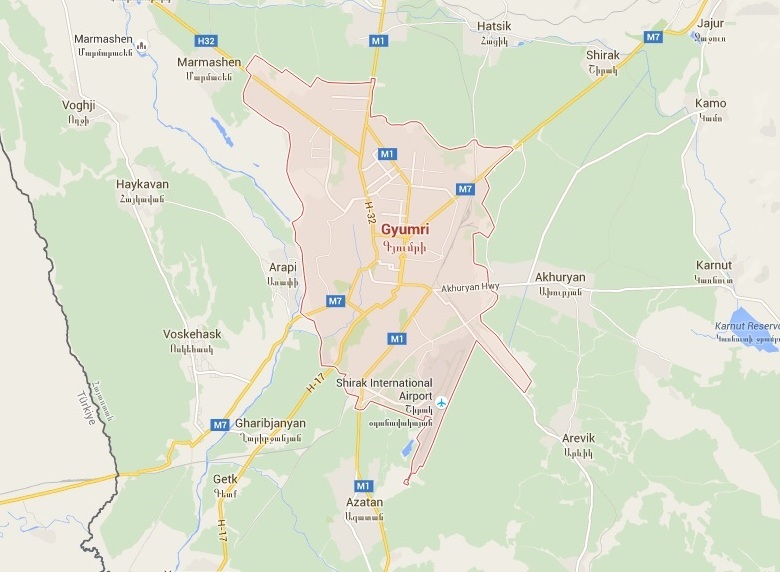 There are a lot of places on interest in Gyumri. Among them – five churches, a monastery, an orthodox chapel, a regional museum, picture gallery, etc. 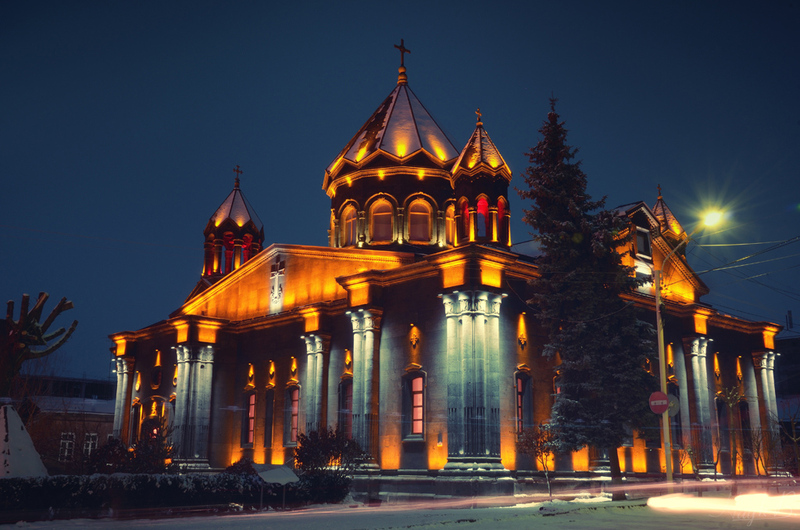 One of the most beautiful the churches is Amenaprkich Church (Church of our Saviour). It was erected in 1860-1873. The church is richly decorated with different ornaments. 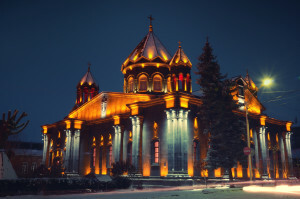 In 1988 during the Spitak earthquake the church was almost completely destroyed but now the reconstruction is in process. Another sight of Gyumri is Monument to Vardan Mamikonyan – the national Armenian hero, who was killed during Avarayr battle against Iranian Sasanids in 451, protecting Christian belief. One of the most significant places of interest is the Black Fortess of Alexadrapol. Its role was to protect the Russian borders from Persian and Turkish troops. 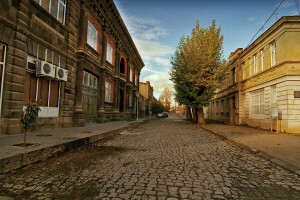 In the 19th century it was the center of Gyumri city. 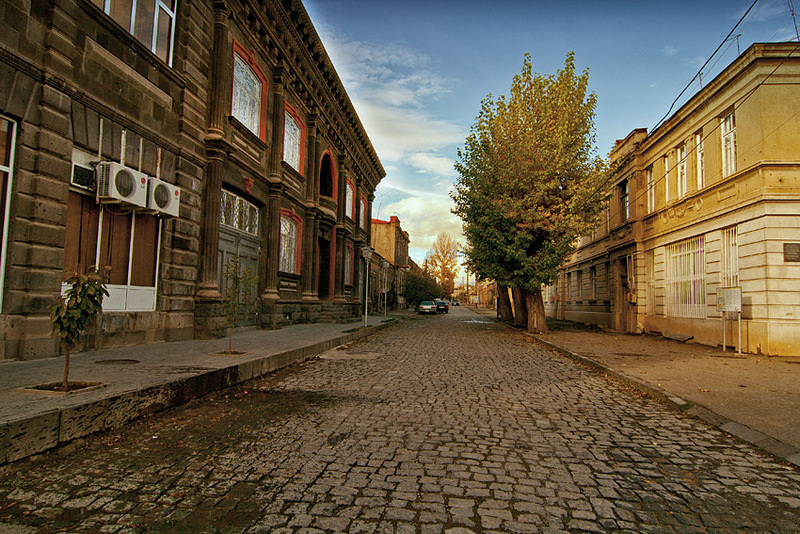 During 20th century Gyumri has been damaged by two major catastrophes. The first was the earthquake of 1926, when many parts of the city and 15 surrounding villages were destroyed. Much more devastating was the earthquake of December 1988. The city had an enormous loss of human life and economic ruin. A huge amount of modern and old buildings were demolished within seconds. Nowadays Gyumri is a city with industrial and banking potential, it has 12 bank branches, more than 20 large companies and over 500 business entities. Here you can visit nice cafes and restaurants, enjoy your time after long walks. 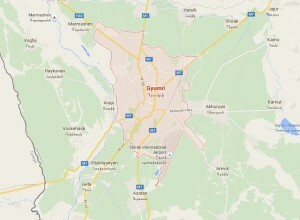 Gyumri is situated 126 km from Yerevan, It takes about 1 hour and 45 minutes to get there.